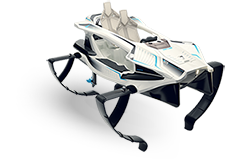 Meet Q2A, our entry level model that will introduce you to the next generation of watercrafts and let you experience the amazing feeling of freedom while you soar above the water. Developed to be driven in lakes and coastal zones, it is a great choice for tourism and renting business. It is also a great choice for family fun on your nearby lake, river or your favorite bay. 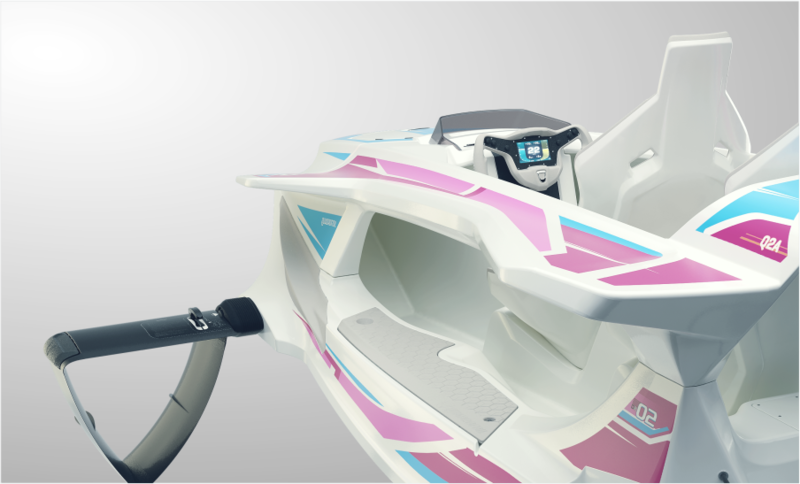 The 3.7 kW electric motor and a 5.2 kWh battery pack form an ideal combination of power and energy efficiency that will, in most corners of the world, let you cut through the water without a boating license or registration. 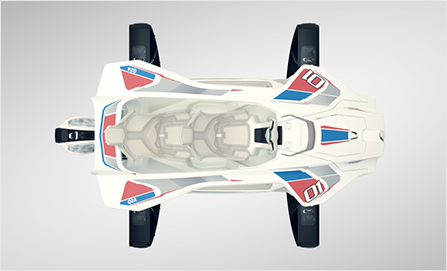 Quadrofoil is one of the most energy efficient watercrafts on the market, whereas the operating cost are well below 1€ per hour drive. 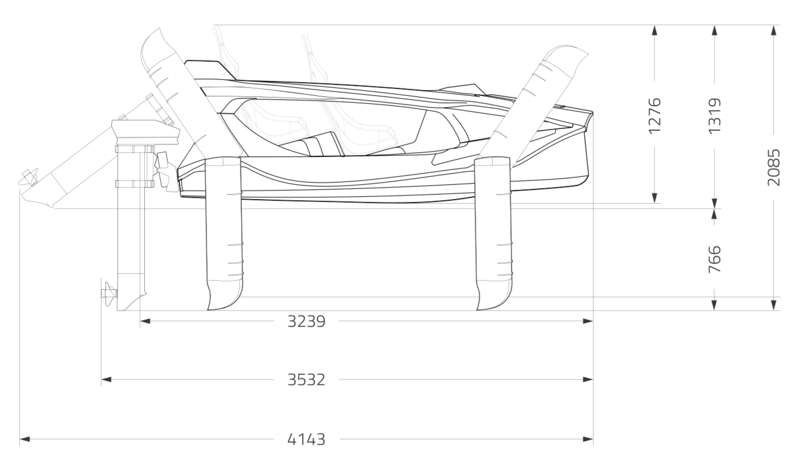 Special C-foil design, aerodynamic hull and one of the lightest and most efficient electric motors on the market, offer optimum performance at minimum electrical usage. 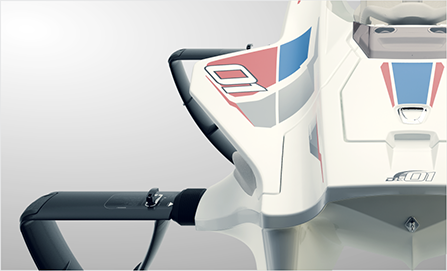 Together with an advanced battery management system, Quadrofoil Q2A transforms 3.7 kW of power into approx. 1 hour of pure enjoyment and 40 km of thrilling moments. * Range and time depend on many external factors that may reduce the maximum performance. With water covering 71 percent of Earth's surface, it is vital to keep our waters clean and free from any pollution. 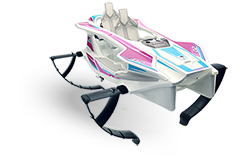 Quadrofoil does not produce CO2 and can be driven on lakes, rivers, seas & eco-zones where most motor boats are not allowed. 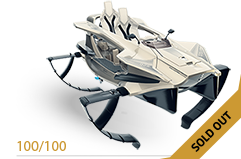 Quadrofoil is one of the most wallet-friendly watercrafts and has one of the lowest total cost of ownership (TCO). Operating cost are approx. 1 € per hour, which is approx. 10-20 times cheaper than other most efficient standard gasoline powered vessels. * Weight without foils and engine is approx. 230 kg. 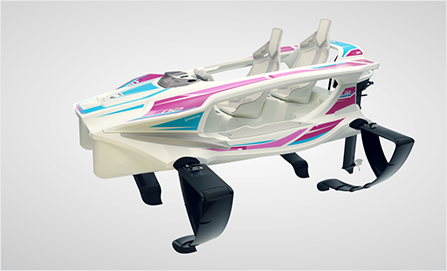 Experience an exhilarating air born feeling produced by our uniquely designed C-Foils that bring boat handling to a never before seen performance. 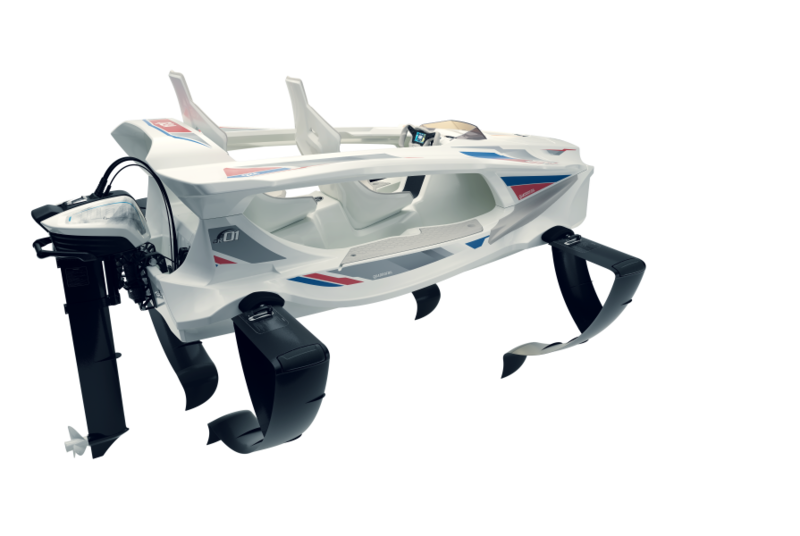 Unique C-Shape hydrofoils allow the Q2 to rise above the surface of the water at just over 12km/h (6.5 knots) and cut through the waves with complete ease.